Aging in Place is the wave of the future. House Calls enables Aging in Place by providing medical care in patient’s own homes. Medical care at home through Resurgia’s House Call Program can be a critical part of the equation. 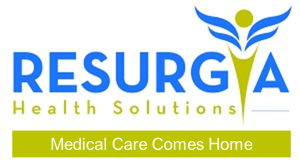 Call us at 1-84House-Doc to start a conversation and see if Resurgia’s House Call medicine is right for you. This PBS News Hour video is a bit long, but provides some very interesting perspectives on Aging in Place as a movement that is gaining traction across the country.